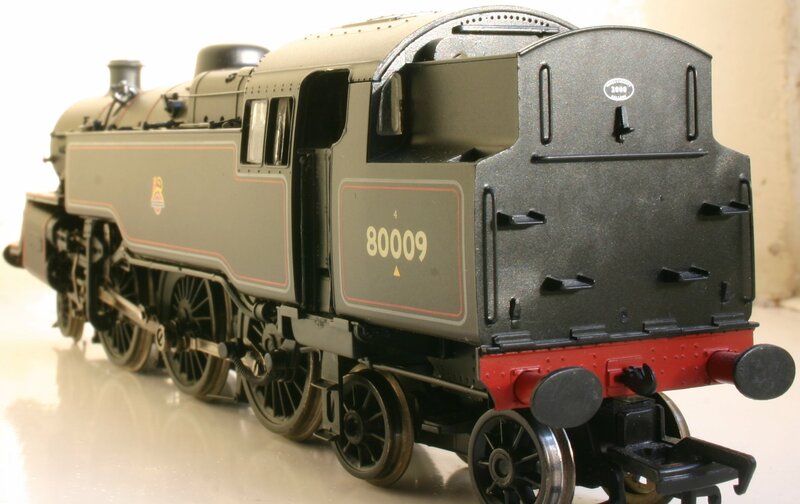 Pretty good detailing overall, the motion (above) is excellent and the many pipes and fittings are present with extra details included to fit yourself. 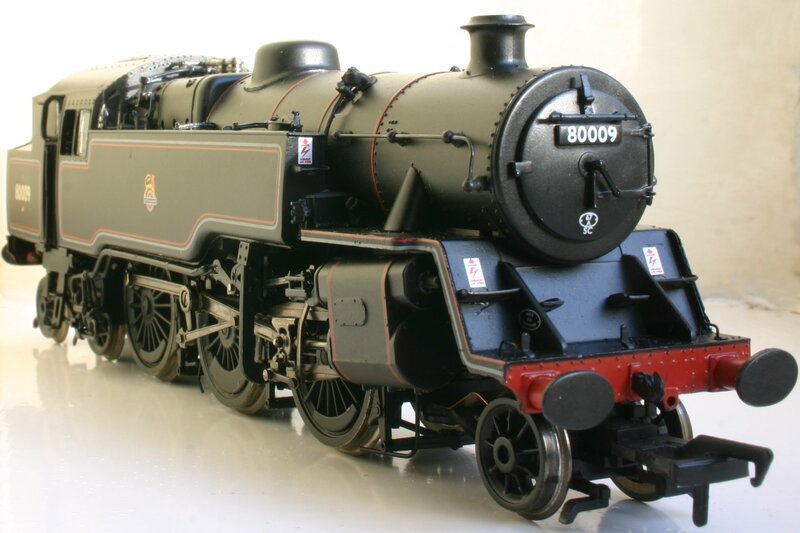 They are not quite to the same finesse of Bachmann’s BR standard 3MT tank however. It doesn’t have picked out cab details or an opening roof. 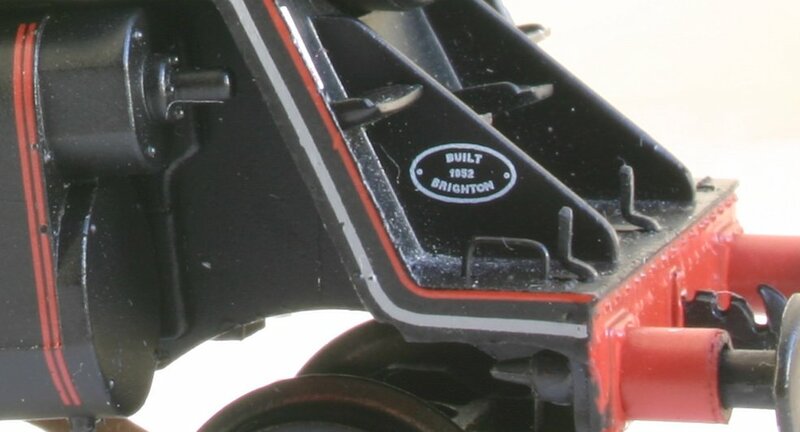 It has an opening smokebox door (below), although it does not have details of the boiler behind it. There is no mistaking that this is a BR standard 4MT tank and despite the model being around for a number of years; it still looks the part. 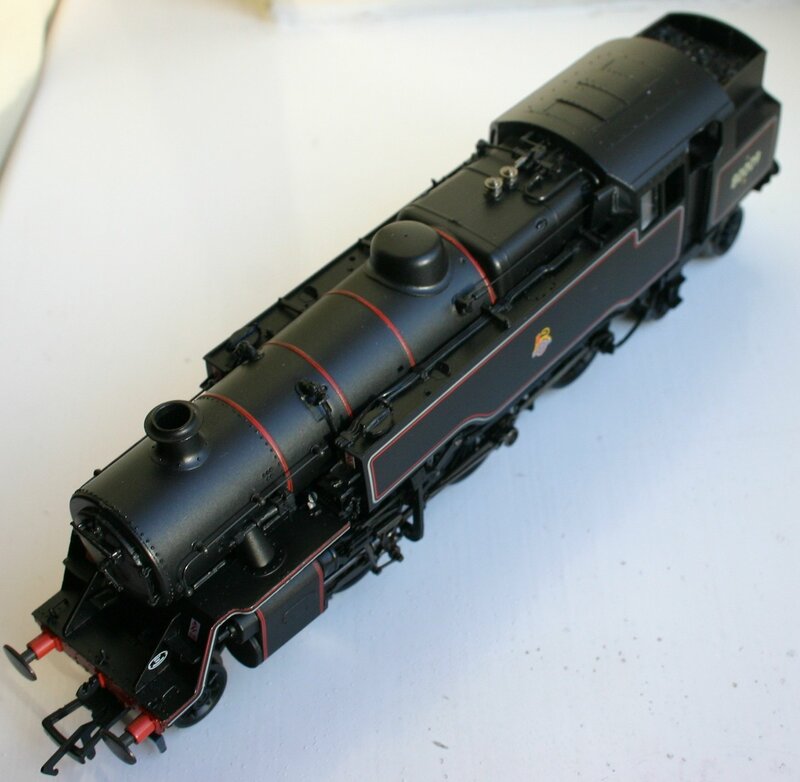 Bachmann are experts at getting BR black right and the standard 4Mt is no exception with good lining. 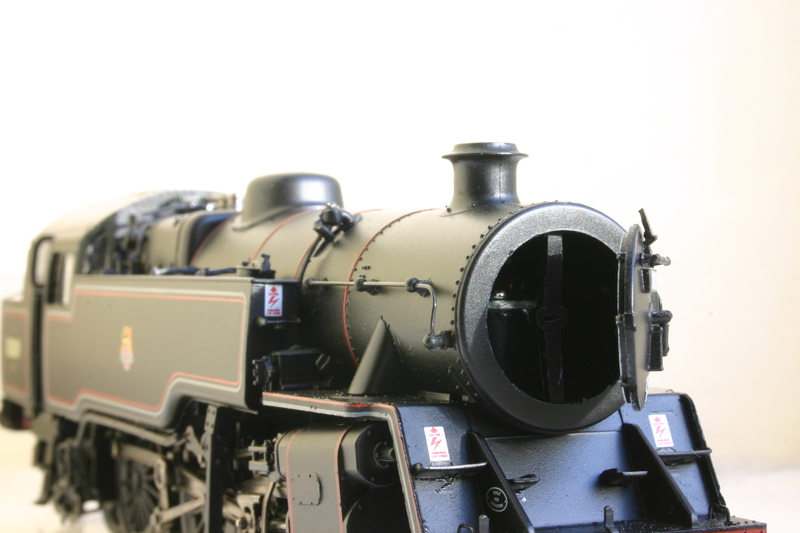 In common with most models a moulding seam is present; this time along the top of the firebox; although it is much less noticeable than you might expect. Quiet, smooth and low-geared, the model runs very well. Pick-ups are good too. Overall it is a great runner, if not quite as good at Bachmann’s Fairburn 4MT. Plenty of power, the model lives up to its 4MT credentials. This is helped by a heavy chassis and a strong motor. 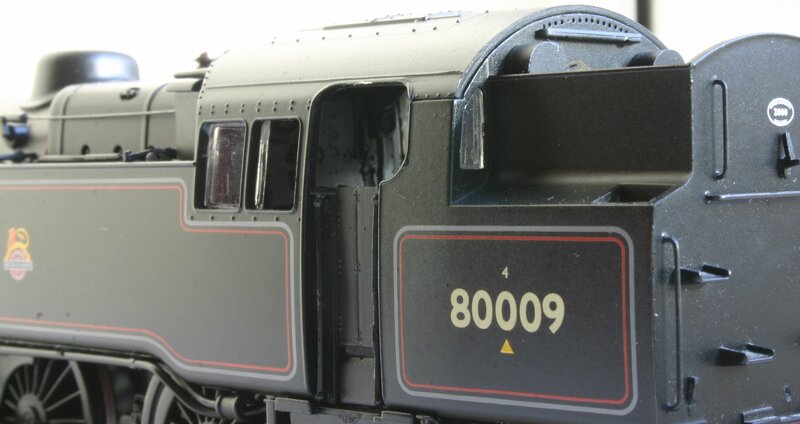 NEM coupling’s and plenty of separately fitted details, but cab (above) is behind the high level of detail of the latest 00 scale releases. No DCC sound version yet. Prices new are higher than the slightly better specified Bachmann 3MT tank and as a result is over-priced. Fortunately the model has been around for a while, so it is possible to snap-up a second-hand bargain; but if you choose this route of purchasing be patient and look for the best deal. The prototype’s popularity means there are both many models on the market but also plenty of buyers, so secondhand prices can be exacerbated as a result. If you do not want to pay the asking price of one and miss out on buying it; do not worry as you’ll soon find another. Bachmann’s 4MT is a very good performer, if not as exceptional as Bachmann’s Fairburn 4MT tank and also nicely finished and detailed, if not to the same finesse of Bachmann’s 3MT tank. That said, it is still an excellent model of a popular prototype. In common with the prototype it is an excellent all-rounder and well worth adding to the collection.